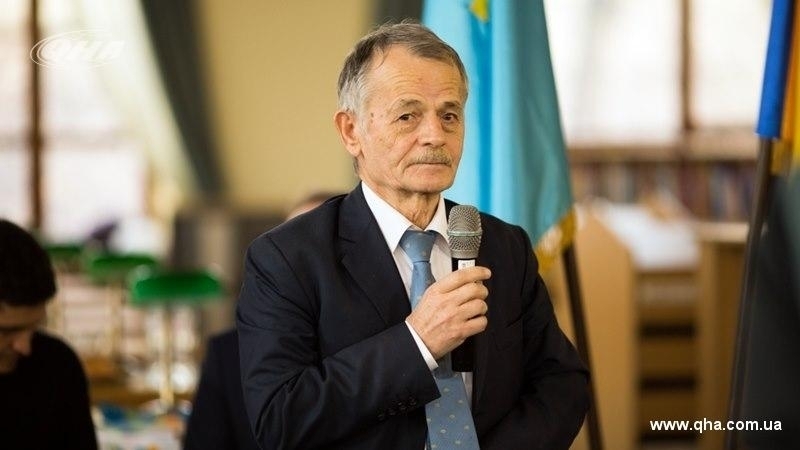 A cathedral mosque and several houses of 1000 apartments for internally displaced persons from the Crimea may be built in Ukraine, the People's Deputy, leader of the Crimean Tatar people Mustafa Dzhemilev said in a comment to QHA correspondent. He noted that he had discussed the support for a program to provide housing for IDPs from the Crimea and the construction of a cathedral mosque in Kyiv with the President of Turkey Recep Tayyip Erdogan. “At the meeting with Erdogan, we discussed this issue in terms of what Turkey can do for the Crimea and the Crimean Tatars. We agreed that they will assist in solving the housing problems of people who were forced to leave the peninsula as a result of the occupation, as well as in the construction of the mosque," Dzhemilev said. According to him, the main problem was the search for available land in Kyiv for the construction of a mosque and housing. Thus, the mayor of Kyiv Vitaly Klichko said that no land is available in the city. "We began to look for the land ourselves and told Turkey that we had found a plot worth several million dollars. This caused an outrage, as they intend to spend 70-80 million dollars for the construction of housing,” the people's deputy informed. The land issue was solved with the help of businessman Rinat Akhmetov, who agreed to provide about 3 hectares for construction in the Pechersk district of Kyiv free of charge. "We determined the cost of this land at $ 5 million and came to Akhmetov hoping that he would reduce the price, since there is a big difference between 5 million and 1.5-2 million. He asked what we were going to build on this land. We replied that it would be a mosque and housing, and he decided to give the land for free, as well as add a few millions for the construction of the mosque," Dzhemilev said. He went on saying that the presidents of Turkey and Ukraine have already been informed of the availability of land for construction. “Now we will complete the necessary formalities, because the preparation of documents takes a very long time. Meanwhile, we plan to begin construction in 2018,” said Dzhemilev. Dzhemilev further noted that the Spiritual Board of Turkey would take over the construction of the mosque, and, according to preliminary estimates, it will cost 10-15 million dollars. As for housing for internally displaced persons, people will live in the apartments free of charge without right to ownership until the end of the occupation. An exception can be made in a case if the IDP does not have a home in the Crimea - then the question of privatization will be raised so that a person could sell an apartment in Kyiv and buy a home in the Crimea.